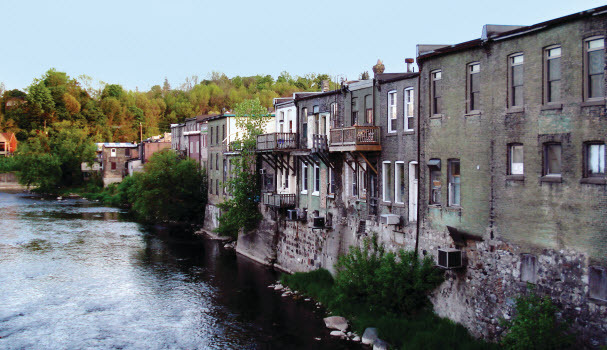 Located in the heart of Ontario, Brant County is situated on the picturesque Grand River. Brantford It is known as the Telephone City, since inventor Alexander Graham Bell first created the telephone there in 1874. It is also the birthplace of legendary hockey player, Wayne Gretzky. The labour force of Brant County is diverse with employees working in all sectors from skilled trade to manufacturing to retail and education. With plenty of industrial land and a thriving downtown, Brant County is the optimum location in southern Ontario for new businesses. Both the Grand River Trail and the Trans Canada Trail wind their way through the community, offering wonderful scenery for hiking and biking. In the winter, cross-country skiing and snowshoeing along the trails are a great way to experience the region. Parks with picnic and camping areas are plentiful. Fishing and kayaking along the Grand River are other great pastimes found in Brant County. The Brantford General Hospital employs approximately 300 physicians and 1,400 well-trained staff. 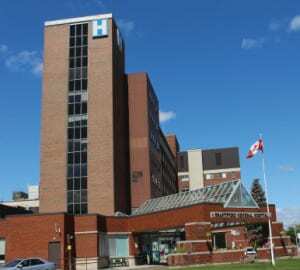 As part of the Brant Community Health System, which also includes the Willet Hospital in Paris, the Brantford General Hospital is the major hospital for the region. The Six Nations Family Health Service is a Family Health Team in Ohsweken, the First Nations Reserve just outside of Brantford. The Grand Erie Six Nations Clinical Education Campus (GE6NCED) – Brantford Centre is a teaching site that has provided medical residents and students a full range of training experiences within an area for a number of years. Beginning in 2013, six, full-time, first-year Medicine Residents began a 2-year Family Medicine residency program at this site. The GE6NCED officially opened July 1, 2013 with the ‘hub’ located at BGH (D Wing, Level 2). This ‘hub’ houses the residents’ Interactive Learner Centre, along with other commodities. In addition to leadership and administrative support, Dr. Scott Elliott, medical co-lead for the Care Support value stream, is the current Site Development Coordinator.